If you’re an aspiring family physician, you’re probably getting ready to attend this year’s AAFP National Conference of Family Medicine Residents and Medical Students. There, you will have the opportunity to explore residency programs, attend educational workshops and courses, meet future employers, connect with your peers, and share your passion for family medicine. As you continue to learn the ins and outs of your profession, you will also need to learn about another important aspect of your career – personal finance. Physicians aren’t known for their business acumen, and that’s OK. Not everyone can be a financial wizard, but there are ways you can take control of your finances. And the earlier you start managing your income, the better off you will be down the line. For many medical students – 86% to be exact – graduating with hundreds of thousands of dollars in debt is an unavoidable aspect of pursuing a career in medicine. But it’s one that doesn’t have to haunt you forever. Your best chance at paying off your student loans is to be fast, be smart and be organized. Start by creating a list or spreadsheet of all your open loans. Include the name, website, contact information, loan amount, interest rate, loan term and deadline. You will also want to set up reminders on when payments are due so you aren’t stuck with late fees. You may want to consider setting up auto-pay, also known as auto-debit in lieu of reminders. This automatically transfers your monthly loan payments to your lender from your checking account so you’ll never miss a payment. You may be tempted to pay the minimum amount each month, but remember: the more you can pay back, the faster you can pay down your debt and avoid paying interest for a longer period of time. At this point in your life, there will be a lot of financial distractions such as rent, car payments, utilities and other expenses. Managing your own finances after school is never easy and money will be tight in the beginning of your residency. Stick to your financial goals now so you can have a comfortable future later. If you’re living on your own, then you realize how quickly all of your expenses can add up. That’s why it’s important for you to set up a manageable budget. This will not only help you determine what luxuries you can keep and which ones you can ditch (cable TV, magazine subscriptions, gym memberships, etc.) it will also help you live within your means. When setting up your budget, start with your monthly income and subtract all monthly expenses. This should include credit card debt, groceries, utility bills, rent, loans, insurance and entertainment. If your expenses cost more than your income, you will need to start looking for ways to cut costs. This may include eating out less, changing your morning commute, or giving up certain bad habits like drinking or smoking. To help track your finances, there are a number of apps and programs you can use to manage your money and keep your bank accounts in check. Having a manageable budget will help you focus on your financial goals and be conscious about the ways in which you reach those goals. As you continue setting your budget, don’t forget to include any money you plan to set aside for an emergency. It is recommended that you have at least 3-6 months’ salary saved up should a financial disaster strike, such as the loss of a job. You should aim to save enough money to cover your monthly expenses until you can get back on your feet. You can do this by either setting up a savings account, a money market account or a certificate of deposit. If you don’t intend on using your emergency savings for a long period time, a certificate of deposit is the best way to go. CDs are more difficult to spend as banks will penalize you for touching your money early or frequently. If you’re able to dip into your account on a whim, then it really isn’t for an emergency. Your ability to work and earn a decent income is your greatest asset, and if you were unable to work or train for a long period of time, how would you pay the bills? Disability insurance is one of the most overlooked insurances by young family physicians. While it’s true that you may be in the best health of your life, you are still vulnerable to the threat of an injury or illness. In fact, 1 in 4 of today’s 20 year olds will become disabled before retirement. The best way to protect your personal finances and the future of your medical career is to purchase a disability insurance policy. Retirement may seem like a long way off from where you are in your family medicine career, but it’s something you should be thinking about. It is recommended that young professionals start saving 10-15% of their income for retirement when they are in their 20s. Most people who start late in the retirement-savings process find it difficult to catch up, so the earlier you start, the more time your money has to grow. Planning for Retirement: Is it too late? 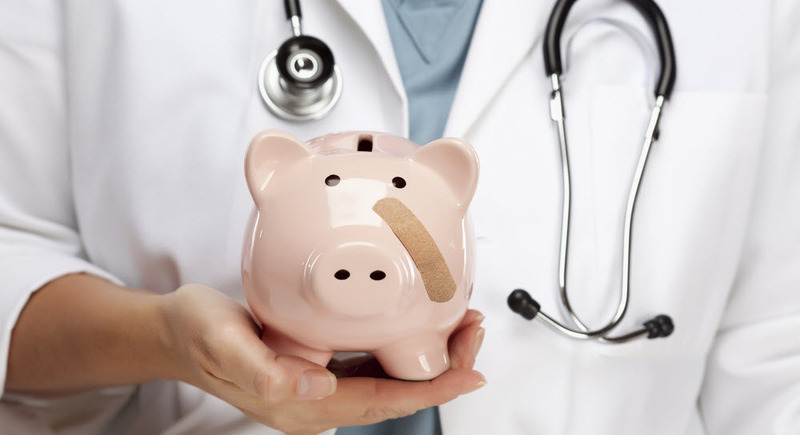 In this post, we discussed some ways that you can manage your personal finances to avoid the many pitfalls of life after medical school and residency. Remember that personal financial planning is all about finding a balance between saving and spending. It’s also about understanding the financial choices we make and dealing with those consequences. By tackling student debt, setting up a manageable living budget and considering all forms of financial protection, your money will remain in good health for years to come.